As winter approaches, Intertruck are advising workshops and fleet decision-makers to be as ready as possible with a new essentials checklist. The Birmingham-based company are warning against vehicle downtime and the resulting complications as a result of winter-related component failure. Ed Pedder, General Manager of Major Accounts at Intertruck, said: “Costs continue to rise and many fleets are being placed under increasing pressure to be as efficient as possible. 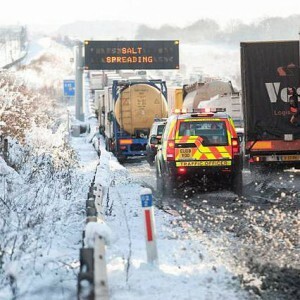 “The winter months present a very specific problem and it is paramount that vehicles perform reliably whatever the weather. “Intertruck is committed to providing the commercial vehicle operator with a comprehensive, all-makes range of OE quality components.